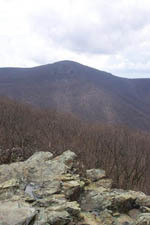 Description: This is a strenuous 12.5 mile shuttle hike in Shenandoah National Park, VA. 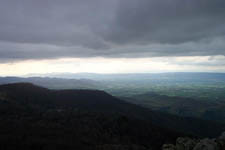 It includes approximately 2400 feet in elevation gain and a load of vistas. 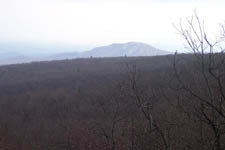 You’ll traverse Hawksbill and Big Stony Man, the highest (4050 ft) and second highest (4011 ft) peaks in the park. 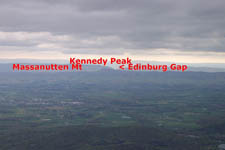 In between you’ll also enjoy vistas at Betty’s Rock and Little Stony Man. I chose the termini of the hike simply because I wanted to connect two segments of the AT that I had hiked earlier this year. 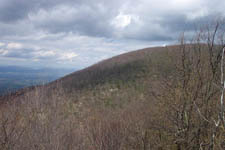 The hike can be shortened to 11 miles by relocating the northern terminus to Stony Man Mt Overlook (Mile Post 38.6) or to 10.2 miles by parking at the little Stony Man Parking Lot (Mile Post 39.1). If you want to further shorten the hike just move the termini to another parking lot, overlook or Skyland. Trail notes: The AT is blazed white. Side trails are blazed blue. Horse trails are yellow. All trail intersections are marked with concrete posts. 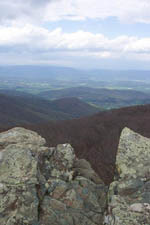 From the parking lot walk out of the north entrance to Skyline drive. At the drive, turn hard left onto a service road that leads downhill and under the overlook. Just before a red gate turn right onto the AT. Soon pass below Franklin Cliffs with views west. 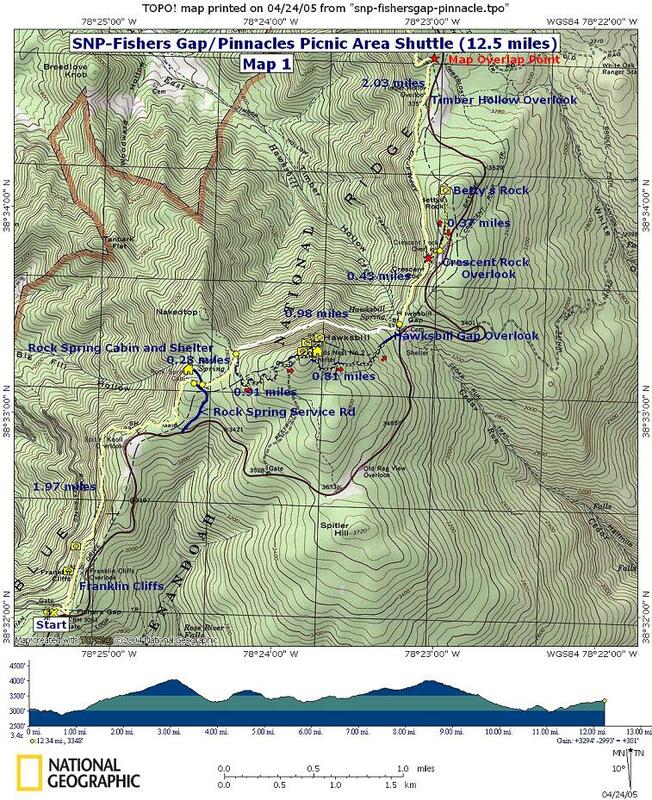 At 1.97 miles from the beginning of the hike pass the service road for Rock Spring Cabin on the right and shortly there after the spur trail to the cabin and shelter on the left. In another 0.28 miles turn right onto blue blazed Hawksbill Summit Tr. Climb gradually for 0.9 miles, passing several overlooks and Byrds Nest #2 along the way. The more direct route to the Byrds Nest may be closed due to Peregrine Falcon breeding. If this is the case bear right onto an alternate route also blazed blue and follow it to a gravel road. Turn left onto the road, pass the continuation of the summit trail on the right, and soon reach the Byrds Nest. 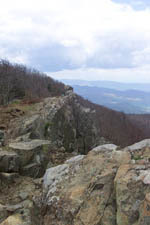 From the Byrds Nest follow a spur trail out to a stone parapet marking the actual summit. Return to the Byrds Nest and descend a very short distance down the gravel road. 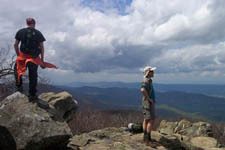 Turn left onto the continuation of the Hawksbill Summit Trail and descend steeply. 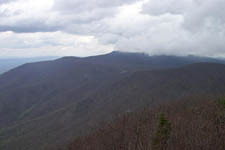 In 0.8 miles rejoin the AT at the Hawksbill Gap Overlook. Continue north on the AT. (This portion can be omitted if you wish to shorten the trip.) 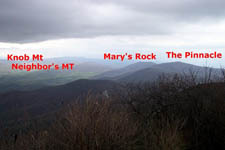 In 0.45 miles turn right onto the Crescent Rock Overlook Spur Trail, following it to the junction of Betty’s Rock Tr. Take Betty’s Rock Tr for 0.3 miles to another grand vista. After you’ve taken in the view retrace your steps to the AT and turn right. In 2.07 miles cross a paved road. You are now in Skyland. The AT will briefly follow a gravel trail and then cross another road before re-entering the woods on a footpath. In 0.56 miles from entering Skyland you’ll cross a gravel road, passing a water storage tank along the way. In 0.15 more miles cross the northern entrance of Skyland and the parking area for the Skyland Nature Trail. For the next 0.42 miles the trail will carry duo blazes: white and blue. Where the AT turns hard right continue straight on the continuation of the blue blazed nature trail. Soon arrive at a fork. 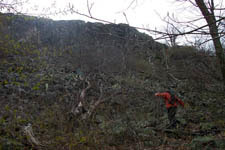 Bear left and climb to Big Stony Man Summit. From there you can either retrace your steps to the AT or complete the 0.4 mile loop. When you arrive at the intersection with the AT turn left and descend to Little Stony Man for more views. At 0.61 miles from the nature trail arrive at a trail intersection. Passamaquoddy Tr goes left and returns to Skyland. 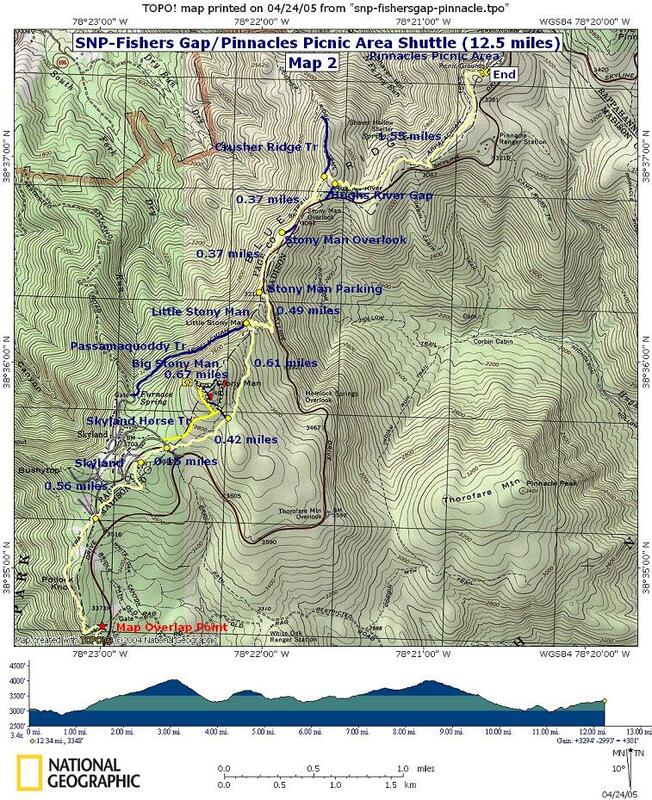 Turn right, staying on the AT, and descend in 0.49 miles to the Stony Man parking lot. 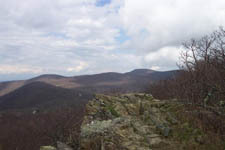 For the next 0.74 miles the AT parallels Skyline Drive passing Stony Man Overlook along the way. After this pass Crusher Ridge Tr on the left and then Hughs River Spur on the right. 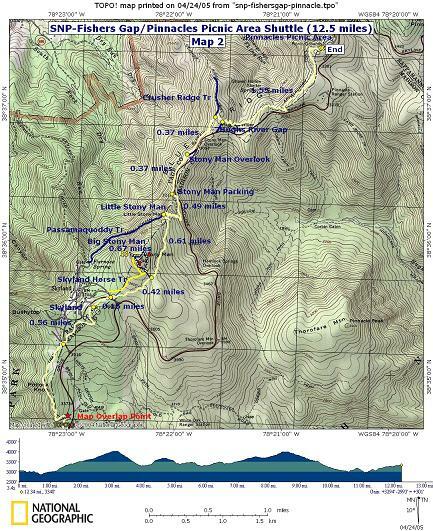 Over the next 1.55 miles climb up to the Pinnacle Picnic area and your waiting cars.